Last summer I took my grandson Omar to Washington DC to see our nation’s capital (just as I had done at age 11). While there I decided to go to a rehearsal of The US Army Band (my alma mater) and to give a copy of Tour de Force for Wind Band to Col. Rotundi. Tuba section leader Dave Brown told me about the next Army Band Tuba Euphonium Conference and asked if I wanted to be a guest soloist with the US Army Orchestra. I said yes but needed to choose a great piece to play. I remembered that, a couple of years ago, Bill Cunliffe had asked me if he could write a concerto for me. I explained that I rarely did that kind of thing but would look for a chance. Well the Army Conference would be a perfect place to introduce a new concerto. 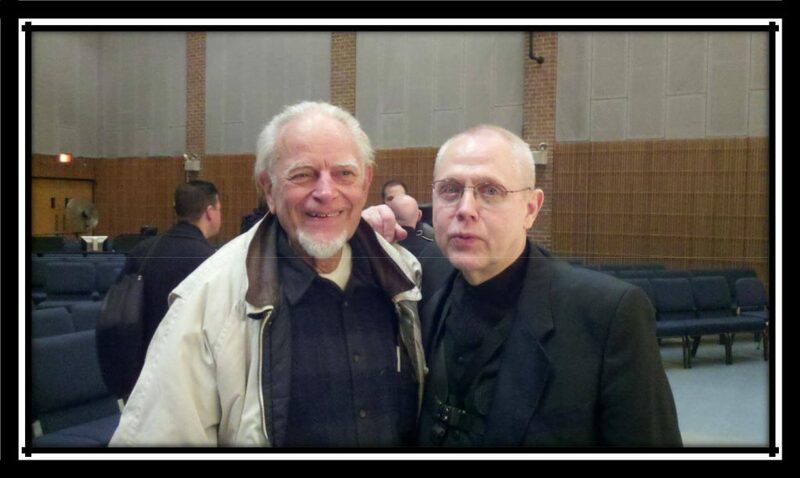 Bill is an amazing musician, one the world’s great jazz pianists and had recently won a Grammy for Composition. He agreed to write the piece even though it was on very short notice-­?-­?so I commissioned a wonderful new concerto. Bill wrote a 16 minute piece thats a imix of classical, jazz and Latin styles that was perfect for my skills. It is very demanding technically, range-­?wise and requires two extended improvised solos. I really identified with the piece and spent 2 intense months of practice to learn it. It really stretched me. 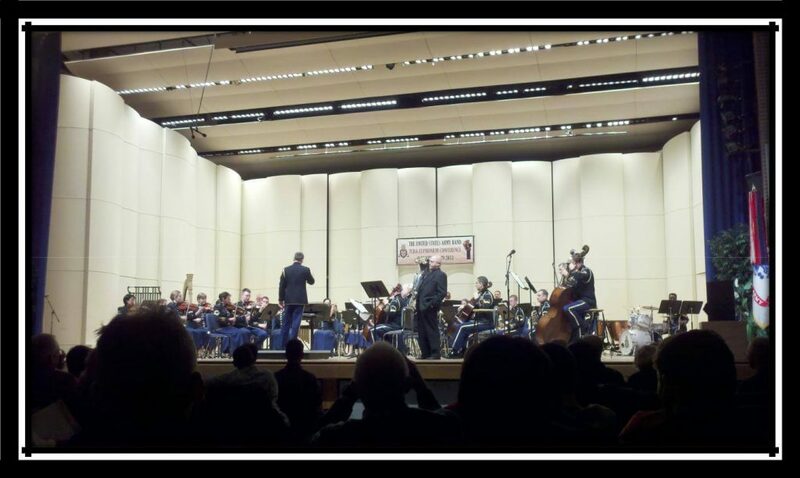 Jamie and I decided to go to Washington a day early so I could have one extra rehearsal with the US Army Orchestra. It was a fortuitous decision because the next day (my original travel day) saw one of the biggest snow storms I can remember. Rte 50 freeway, outside our hotel) was a parking lot that night. Conductor Lt. Col John Clanton was great to work with and understood the rhythms. It was a small string section. (I used to play gigs on string bass at State Dinners at the White House with the Army Strings so in a sense I was playing as an alum of the “Strings”). The rest of the group is made from members of the concert band. The harp player was especially good. She came up and told me she was a former student of Jo Ann Turovsky. We had three good rehearsals before the concert and the performance went very well—I sure was into the music. It’s funny but (of all things) the only things I missed were two stupid reading errors. I thought the jazz was especially good that night. Overall I was quite happy and totally absorbed and sang my heart out. Bill Cunliffe traveled across the country to be at the premier. My clinic the next morning went very well too. Again I had the professional stage guys of TUSAB running the AV and I had a wireless mike—which made the thing go easily. I opened with a jazz solo with midi accompaniment (yuk!) and worked some with a young volunteer— who did very well. Talked about sculpting a life in music and played my movie DVD. Dave Brown, Don Palmire, and all the band’s tubas and euphoniums were great to me—and they pulled off another great conference. It is the best annual TE conference anywhere—very high quality. I onlyregret I didn’t have too much time to hear much of the other talent. But we were able to spend some time with one of my heroes, Bob Pallansch and wife Fifi-­?-­?and saw many of my old tuba/euphonium cronies. I am proud to be an Alumnus of The US Army Band and to play with them. At my age it is a great honor. Travelling from California is a challenging and time consuming effort— but is the price I have to pay to do these kind of gigs. So less than two weeks later I was on my way back east again.-­?-­?this time to the New England Conservatory in Boston. Every year they extravaganza called the Brass Bash and each year they invite one artist. 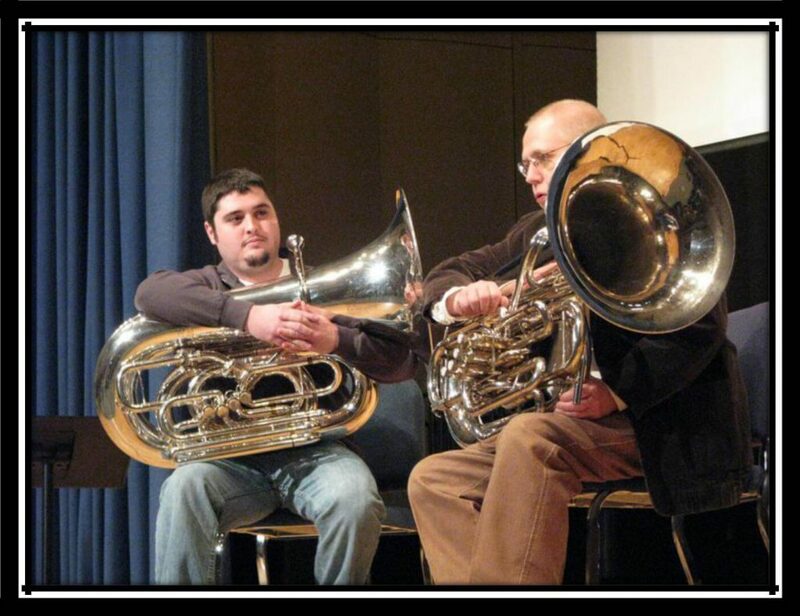 This was the Year of the Tuba and the professor, Mike Roylance, and his students asked me to come. The concert featured all the brass players and faculty at NEC with performances by large trumpet, horn and trombone choirs as well as some big brass ensemble pieces. Most of the second half featured me and my compositions—which I conducted. We started with Polarities for two antiphonal brass quintets, followed by a two tuba arrangement of Just Friends which I dedicated to the memory of Harvey Phillips (who meant so much to me and was a former VP at NEC). Mike Roylance, who (unlike most symphony players, has jazz chops) played the other tuba. We had a ball. Then I led a performance of Woojoo for 8 F tubas and drums—made up of Mike’s NEC and Boston University students—they were just great on this most difficult piece. 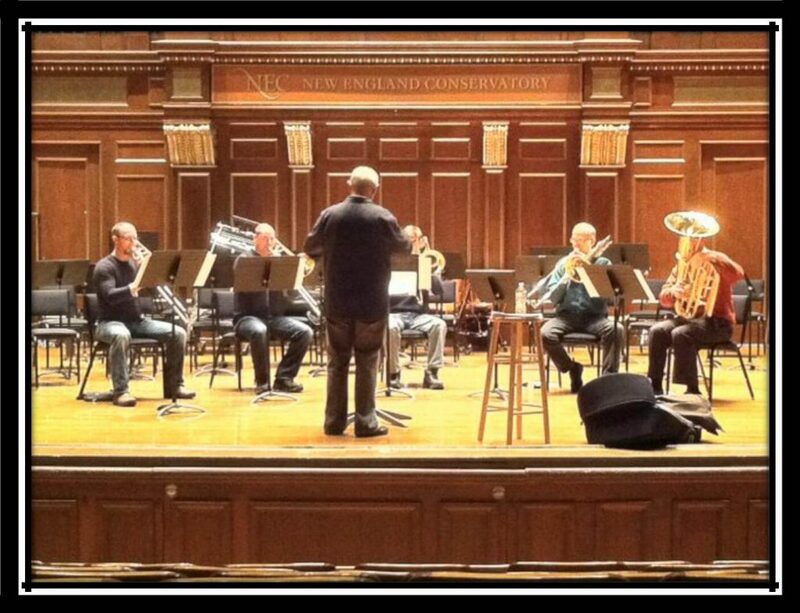 Then I conducted a performance of Winks ‘n Jinks for solo tuba and 4 trombones-­?-­?played by Mike and the Boston Symphony trombones (a real special treat for me). 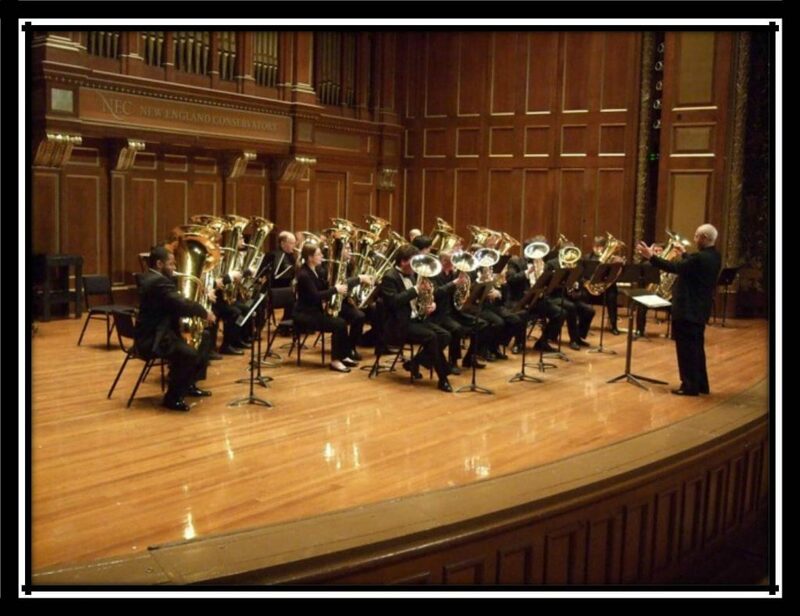 Later in the program we had a 32 piece tuba/euphonium choir play my arrangement of Finlandia. I sat in for the concert finale with Charlie Schlueter conducting a huge brass ensemble on The Pines of the Appian Way—TWICE! (whole program is below). 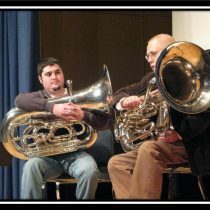 That Mike Roylance is a great guy and great tuba player. He was a wonderful host and treated me to several good meals. I finally got to hear the Boston Symphony in their wonderful hall, went to a clinic concert by the Atlantic Brass Quintet (John Manning et all were terrific) and I went to the Museum of Fine Art. The whole thing made me confident of my music and I was very much lauded for my playing and compositions. I got to “do my stuff” on a very high level. Special thanks goes to Prof. Frank Epstein who organized this wonderful eventTo. be a featured artist at the prestigious New England Conservatory is a real honor. On my way out to Boston I made a stop in Fredonia NY to hear an early rehearsal of “Mo’Ments” (my new piece for band) by Paula Holcomb and the Fredonia Wind Ensemble. After the success of Tour de Force I am conscious that any thing I write for Wind Band has to be good. I was reassured that Mo’Ments really works well and that they will have a wonderful premier and later recording of the piece. 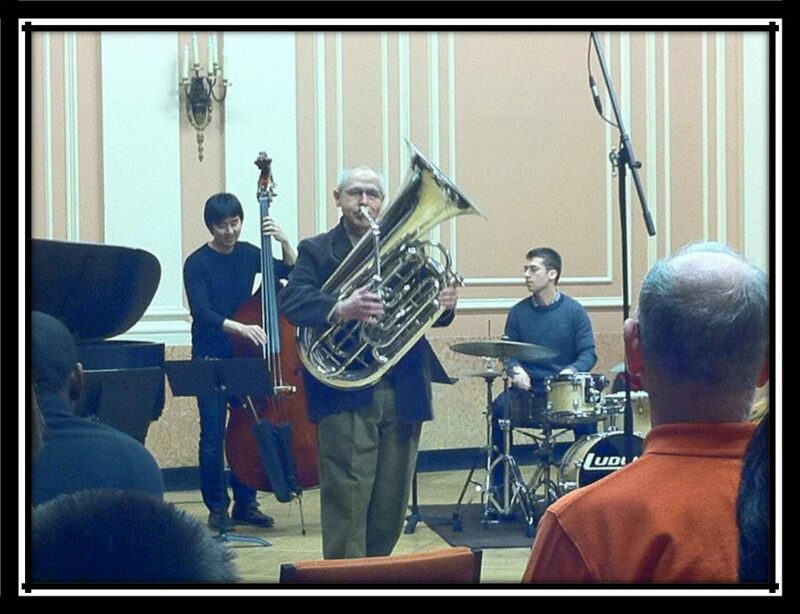 I also gave a clinic/master class for Ray Stewart, his tuba class and many other Fredonia students and faculty. 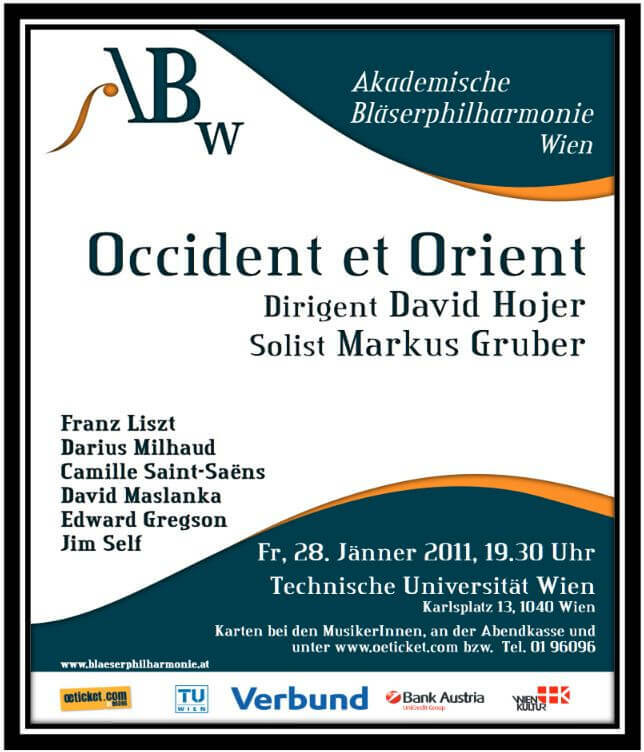 The same night that I played with the US Army Orchestra, my “Tour de Force” for Wind Band was played in Vienna, Austria by the Akademische Blaserphilharmonic–and the day I returned from Boston the same piece was played twice here in Los Angeles by Steve Piazza and the Los Angeles Winds. These events in Washington, Boston, Fredonia, Vienna and Los Angeles really gave a boost to my ego, For the moment (at least) I am playing the best I ever have and I have a lot of confidence in my composing and my ability to communicate as a musician . So many of the difficult things I have worked towards most of my life are really bearing fruit . These things keep me young and enthusiastic about the future.